According to a declassified CIA report, a troop of Russian soldiers—who managed to shoot down a UFO—were turned into STONE by surviving aliens. The declassified report is available at the official website of the CIA. Yup, and it’s not an excerpt from an upcoming James Cameron science fiction movie. Although James might consider it. Ok so I know there are those who will certainly yell out fake, and for them, the link to the official document is here. According to a set of documents provided by the CIA, Russian soldiers gunned down an Unidentified Flying Object. After the craft crash landed, its occupants—of otherworldly origin—confronted the military resulting in human soldiers turning into stone. 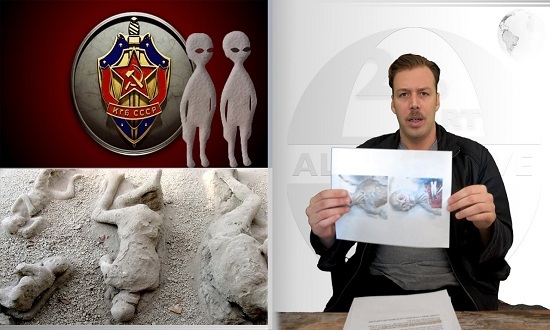 The declassified set of documents states how 23 Russian soldiers were ‘killed’ by as many as FIVE extraterrestrial beings after an alien encounter after soldiers gunned down the ET craft. 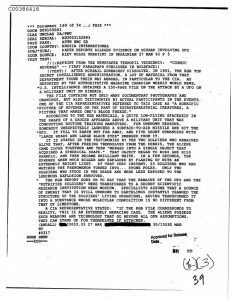 The declassified documents, now freely available at the official website of the CIA, is in fact a translation of a Ukrainian newspaper that wrote about the incident. The newspaper report composed from a 250-page KGB dossier on the alleged UFO attack includes images and witness testimonies, according to the Daily Express. The UFO is said to have appeared during military unit training in Siberia. The Alien craft was shot down using a surface-to-air missile. 2 soldiers are believed to have survived the attack. 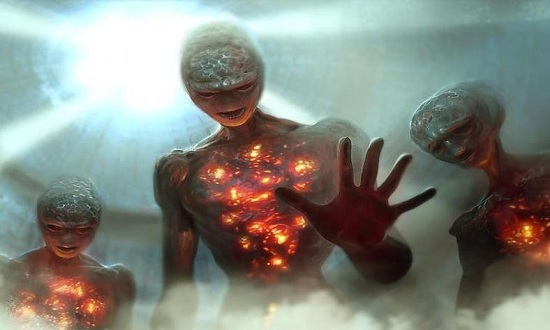 As weird as it sounds, the report states how after the UFO was shot down, five ‘otherworldly beings’ emerged from the crashed UFO. The beings merged in what was described as a massive ball of light which eventually exploded, turning 23 Russian soldiers into stone. And while there are certainly many red flags surrounding the report, one of the biggest mysteries is why the CIA held a translation of the Ukrainian newspaper report on file. It seems that the document—although available on the CIA website—first appeared in declassified KGB files. Interestingly, a man named Philip Schneider, who worked as an explosive engineer contracted by the U.S. government, with high-level security clearance claimed how in 1979—when he was working on the construction of a secret underground base in New Mexico—he witnessed a horrible battled between aliens and humans that resulted in 60 dead soldiers, and countless subterranean aliens fighting for their life.